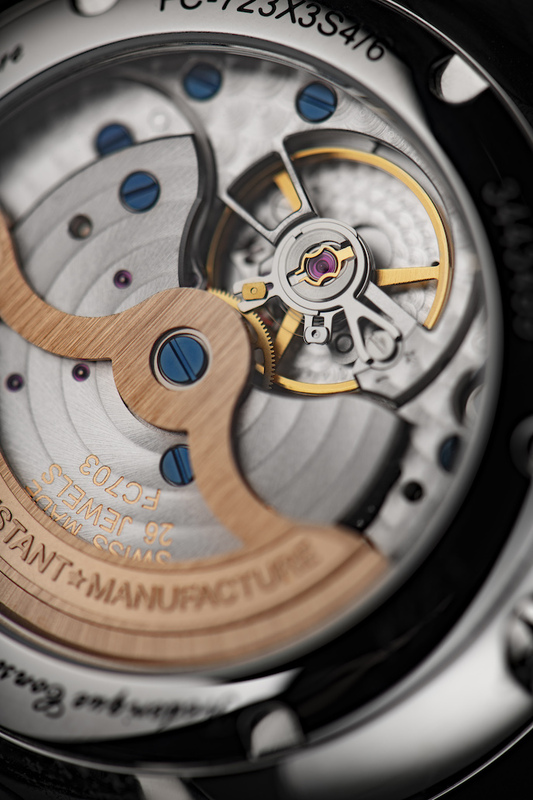 The case, in stainless steel or steel rose gold PVD, measures 40mm. It has a convex sapphire crystal, a display back, and it is water resistant to 30 meters. Movement is the Swiss automatic Frederique Constant in-house caliber FC723 with 28 jewels, 28,800 vph and a power reserve of 50 hours. It features >o?perlage and circular Côtes de Genève decoration. Adjustable date by the crown, power reserve indication. 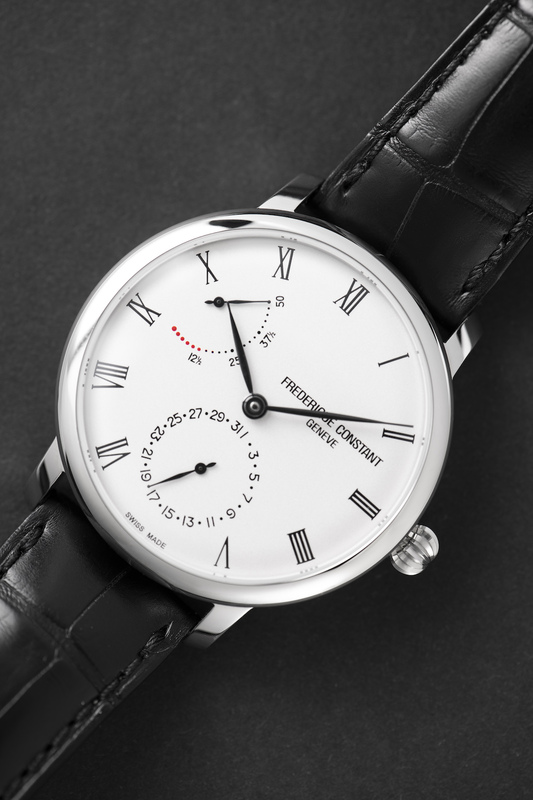 It has a dark grey dial with sunray decoration and printed white Roman indeces with hand polished white color hands. 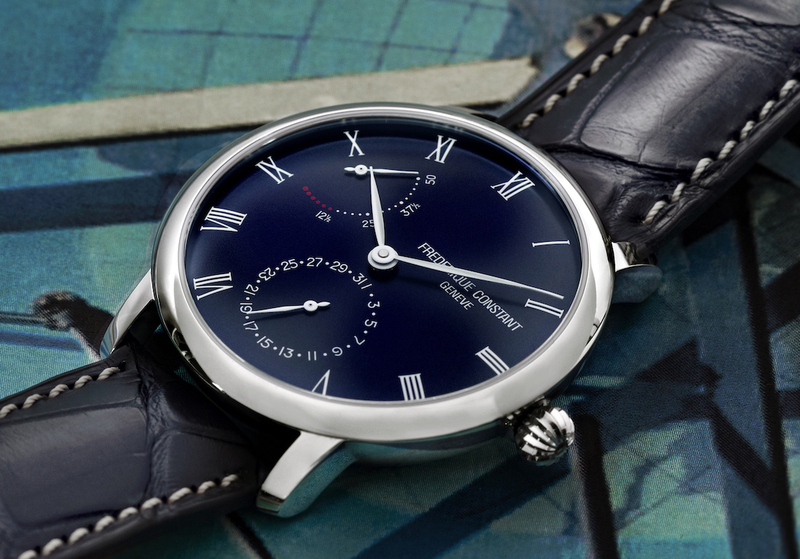 Or a navy blue dial with sunray decoration and printed white Roman indeces with hand polished white color hands. 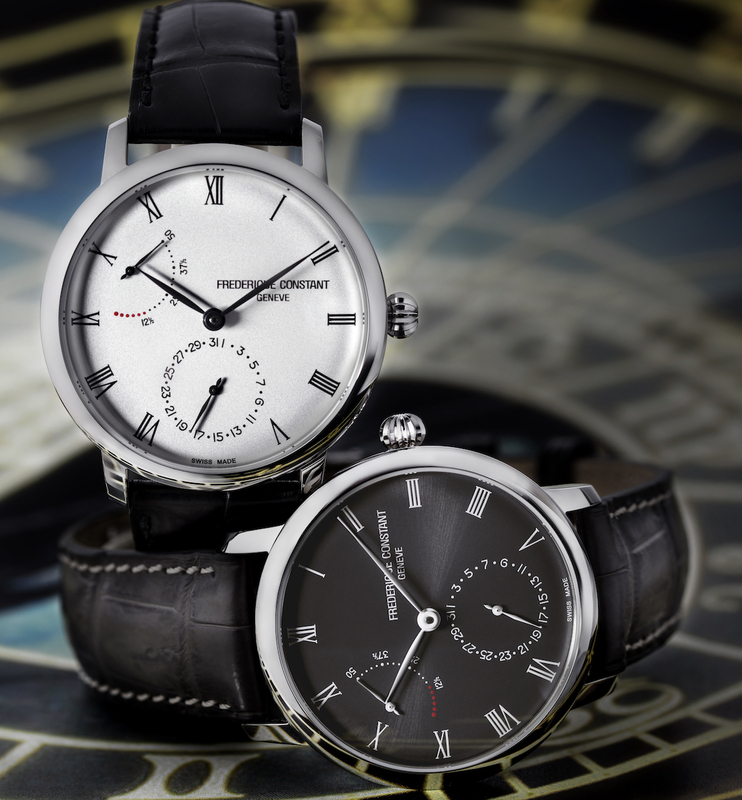 Or a silver dial with matte finishing and printed black Roman indeces with hand polished black color hands. It comes on a dark grey, black, dark brown, or navy blue alligator leather strap with a steel or steel gold PVD deployant. 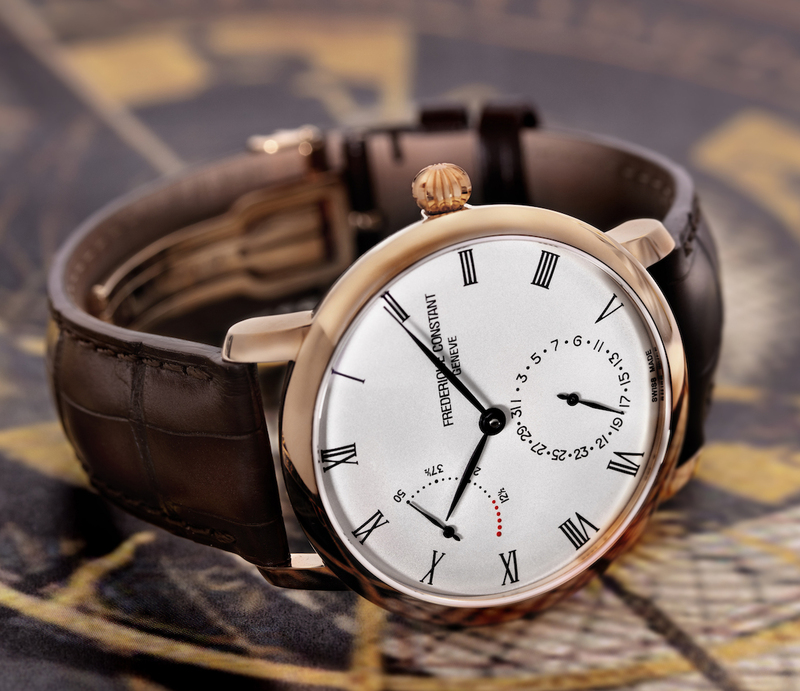 MSRP is 3,295 to 3,595 Swiss Francs.